With only sixteen inches of total precipitation per year, Brown was soon aware of the importance of his soil’s ability to effectively store water. That realization, and without any preconceptions or legacy in agriculture, meant that when a friend approached him in 1994 with the idea to go no-till (no plowing before planting) to save time and moisture, Brown was intrigued and quickly acted. In the years that followed, Brown stopped using fertilizers and pesticides and turned to nature to pursue a farming strategy or practice called Regenerative Agriculture. Regenerative Agriculture is an approach to farming that focuses on restoring degraded soils to promote healthier ecosystems and plant growth by rebuilding soil organic matter through holistic farming and grazing techniques that try to mimic what would happen in nature. The rest is history. Brown is now a renowned figure among Regenerative Agriculture advocates, in high demand to share the lessons he learned in this transition at events across the US. Today, he releases his first book – Dirt to Soil, One Family’s Journey into Regenerative Agriculture. Dirt to Soil offers a detailed account of how Brown made that transition, with events outside of his control, the influence of others, and plain luck steering the course of his journey. Today, Brown and his son Paul manage Brown’s ranch together. They have established their own brand “Nourished by Nature,” including grass-fed and grass-finished beef, pastured pork, grass-finished lamb, free-range eggs, honey as well as grass-finished goat which they mainly market direct-to-customers. Why did Brown write this book? How detrimental the current production model with tillage, chemicals, and synthetic fertilizers is in disturbing nature’s system and impacting human health. The need to move beyond “sustainability” with regard to soil. We have to start to improve our soils. The importance of diversity in plant and animal species, specifically the benefits of cover crops and rotational grazing. Making change is all about mindset. The power of marketing to the end user: currently just 12.6 cents to the dollars goes to farmers, Brown says he captures much more than that by marketing directly to the consumer. Brown’s open mind to new ways of thinking is a key feature of his journey. When his friend introduced no-till practices to him, he fully invested in the concept, selling all his tillage equipment and from the money he received instead, bought a no-till drill (for planting seed). But events outside of his control also played a role in his decision and journey to Regenerative Agriculture: a series of devastating weather events from 1995 including freak hailstorms and drought, brought Brown’s family to near financial ruin. Brown could no longer afford to buy synthetic fertilizers and herbicides, instead planting cover crops to provide forage for his livestock that were bringing in some money, as well as adding to his crop rotation. After those four years of forced “resting period,” Brown noticed changes to his soil. It began to recover: holding more moisture, smelling different and looking darker. Influencers such as Allan Savory and fellow farmers like Don Campbell helped Brown to change the way he thought. He realized that to mimic nature’s way not only had ecological advantages but brought more profits per acre! Limit disturbance of the soil, be it mechanical, physical or chemical disturbance. If you take one spoon of healthy soil, there are more living organisms than there are people on the planet. Tillage destroys soil structure and causes erosion and synthetic fertilizers, herbicides, pesticides, and fungicides all have negative impacts on it. Armor: Keep the soil covered at all times (cover crops or plant residues). A natural “coat of armor” will protect soil from wind and water erosion, provide food for the microorganisms as well as lower the temperature on the soil level. Diversity in plant and animal species enhances ecosystem functions through numerous different characteristics above and below ground. Nature is more collaborative than competitive. Keep living roots as long as possible in the ground. Living roots feed soil biology by providing carbon. This, in turn, fuels the nutrient cycle that feeds plants. Integrate animals. Grazing of plants stimulates the plants to pump more carbon into the soil, which again drives nutrient cycling by feeding biology. By cycling more carbon out of the atmosphere and putting it into the ground, we can actively mitigate climate volatility. It goes without saying that pollinators, predator insects, earthworms and all of the microbiology are incremental to any system. These principles work everywhere. If there is soil and if there is sunlight, it works, writes Brown. Keep an open mind and question yourself and the way you see things. Observe and notice what works and what doesn’t. Thinking is more important than doing. In deciding which direction you want to go, ask yourself: “What do I enjoy doing?” and start from there. Understand your context: every action you take affects the whole ecosystem, short-term as well as long-term. Do not be afraid to fail; every failure brings you closer to understanding the specifics of your system. The focus should be to foster life, not destroy it. Rest assured, it needs commitment and a lot of trial and error but if you want to grow soil, if you want to produce nutrient-rich food, if you want to earn a healthy income and if you want to improve the soil, this is the way, according to Brown. Brown does a good job at pointing out that he is not against conventional farming nor pro-organic. He himself is not certified organic, and he is not part of the Federal crop insurance program. By sticking to the principles of Regenerative Agriculture and by never stopping to learn, he has achieved what many farmers would call an optimal position. He is free to decide what he grows, where he grows and how he grows. He is producing real, nutrient-rich food, not commodities. Brown belongs to a group of visionaries that are proving that we can change the way we see agriculture. For the ever-growing number of health-conscious consumers, as well as farmers, that are either questioning the current agricultural system or simply are running out of options with the “old” system, Regenerative Agriculture might be the future. “Dirt to Soil: One Family’s Journey into Regenerative Agriculture” is a good starting point for anyone in agriculture looking for a change. 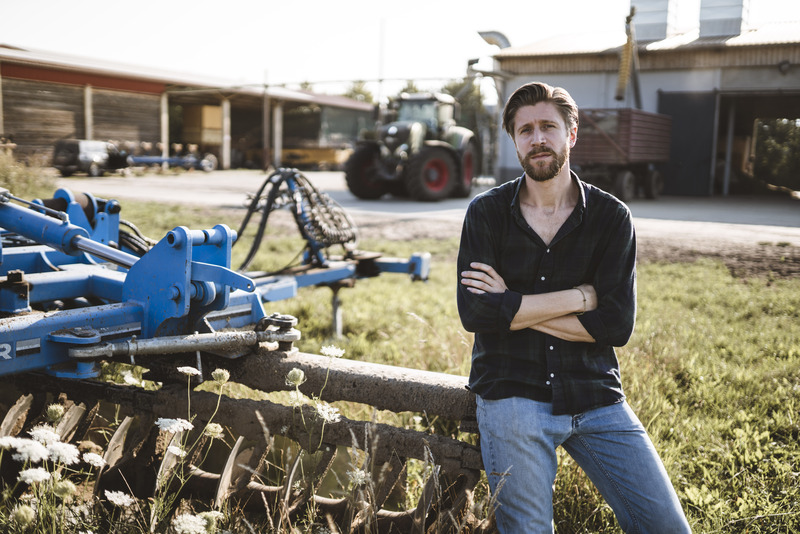 Editor’s Note: Benedikt Bösel is the managing owner of Schlossgut Alt Madlitz, an ecological farm and forestry one hour east of Berlin, Germany. After a career in investment banking and venture capital he took over responsibility of the family farm late 2016. Today, the farm offers testing grounds for agtech startups as well as research institutions with a special focus on soil and soil health. In addition, the farm offers land to young farmers that are passionate about Regenerative Agriculture but lack the access to land. Benedikt is chairman of the AgTech Platform of the German Association of Startups and mentor at Agro Innovation Lab as well as Yunus Social Business.